Look at a map of California and you’ll see highways 1 and 101 run along the entire coast. Look closer; the pavers missed a 30-mile section between Eureka and Rockport. 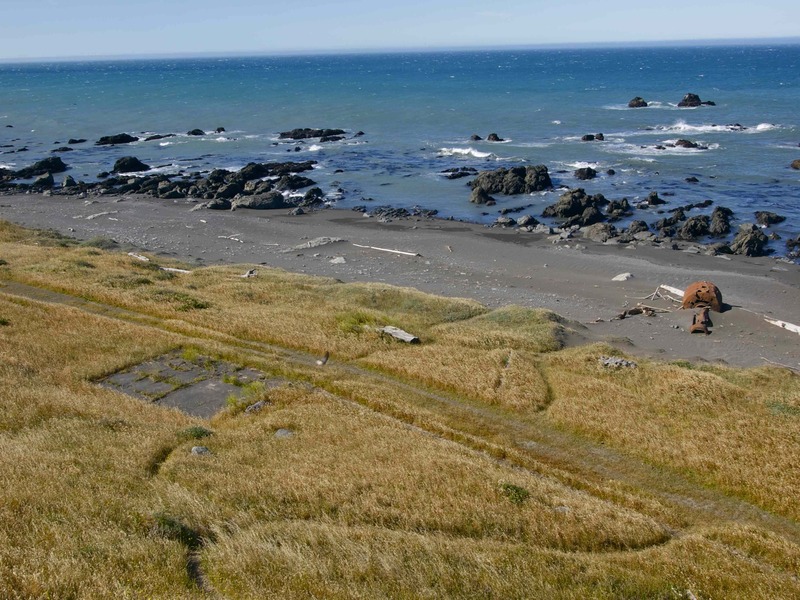 This roadless, rugged stretch of beach is known as the Lost Coast. 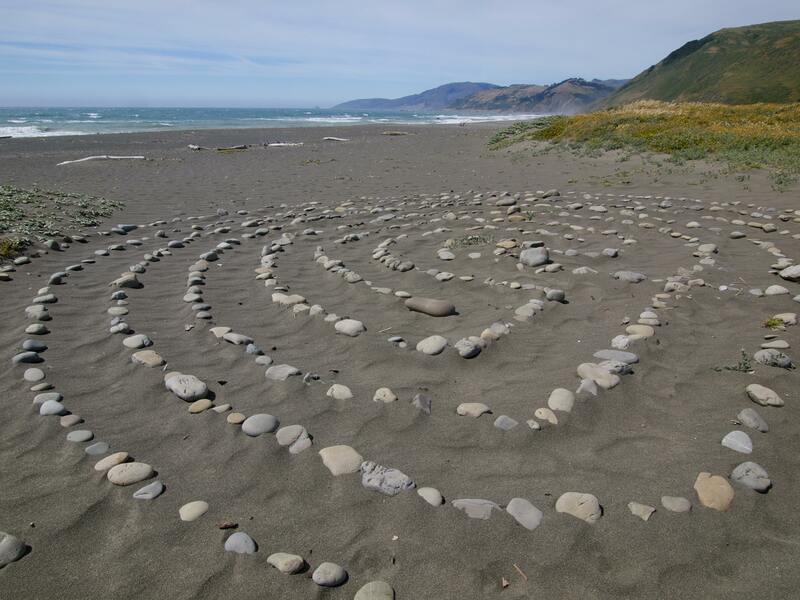 My first night camping at the Lost Coast was probably the most dangerous night of my entire trip. No, I wasn’t threatened by psychos or attacked by wild animals. A couple of idiots almost burned down the beach. I came back from watching the sunset to find my neighbors had erected a giant driftwood bonfire with full sized logs, leaned upright into a precarious teepee. Much to my alarm, there was nobody around. The idiots had set the teepee ablaze and then walked away. It was windy and dry as hell and I hated to think what might happen if the whole thing collapsed and flames spread to the tall grass that ran up and down the dunes. 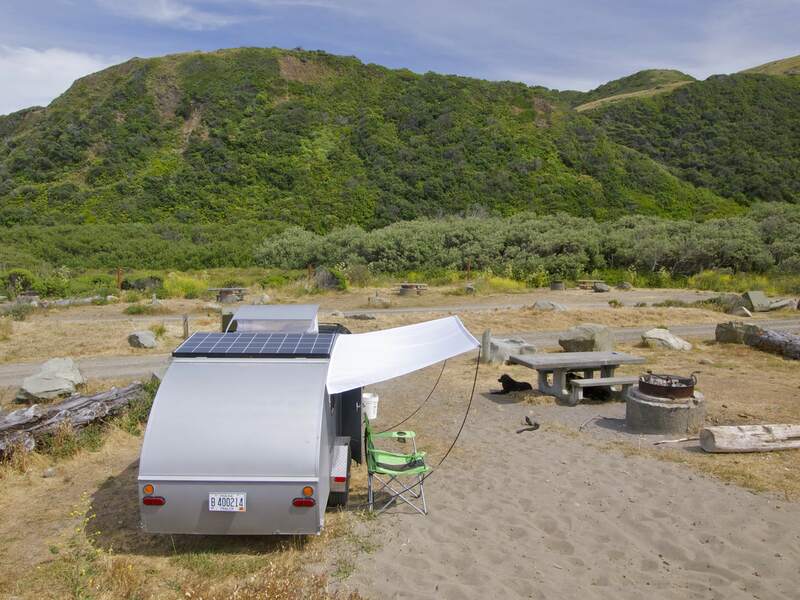 Lost Coast campsite- trying out the awning! Not one to fret idly, I walked down to their campsite and put out the bonfire, then rebuilt a more reasonable blaze and enjoyed its company until the pyros returned. They were a young couple from Missouri, their first time in California. I explained their fire had been dangerously high for such a dry place and that they should never leave a fire unattended. They seemed only a little annoyed and invited me to stay for a s’more. Of course, I accepted and we had a nice chat. “Do you guys know about the lighthouse?” I asked them. They did not. The hike to the Punta Gorda lighthouse ranks in my top ten hikes of all time. 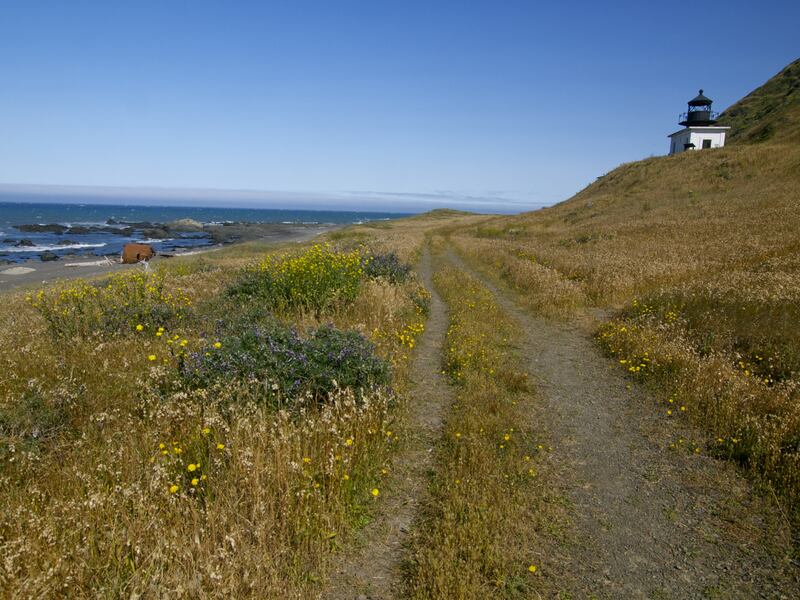 Between the waves, the cliffs, the tide pools, the seals, the whales, the tall dune grass, the wildflowers, the solitude, the shipwreck and the small but elegant lighthouse, this might be the one of the most beautiful beach walks in the world. 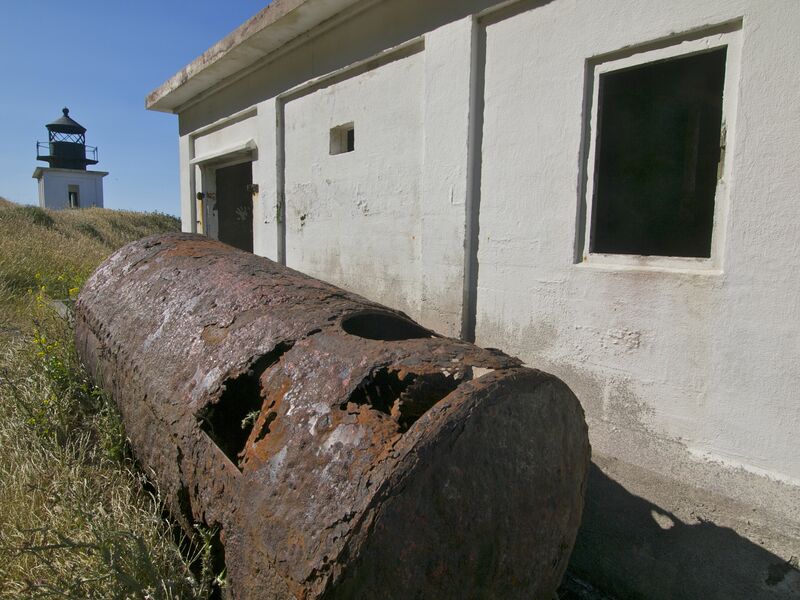 Punta Gorga Lighthouse Remnants. The lighthouse was built in 1910 and decommisioned in 1951. 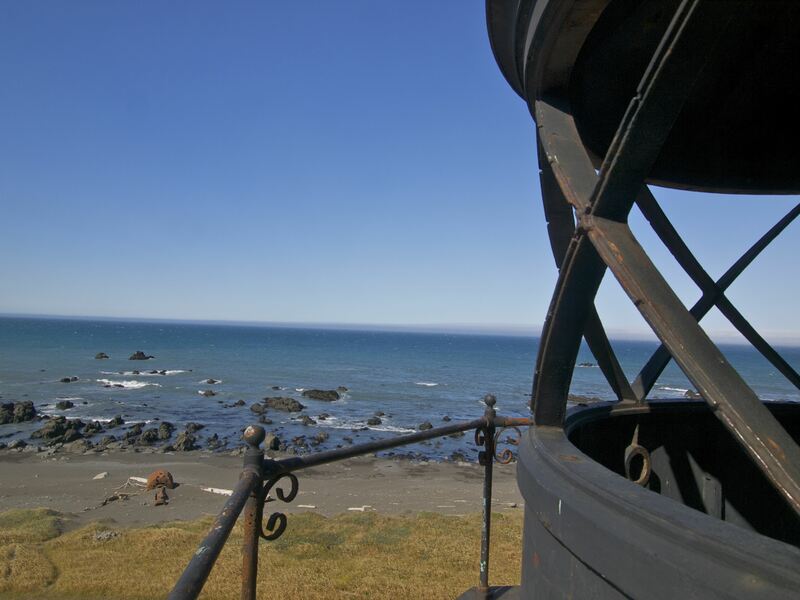 View from the lighthouse. Notice the shipwreck ruins on the beach. A small village of wooden houses once stood on Punta Gorda, but in the 60’s a group of hippies took up residence and the BLM elected to burn down all the buildings to keep them out for good. No idea what this is, but it looks like it has been here for awhile. A number of ships wrecked offshore here due to the combination of shallow reefs and high winds whipping around the bluffs. This trip was just an all day hike. On the way back from the lighthouse, I nosed a bit too close to what I thought was an empty cabin on the beach, only to be startled by a white-haired man waving at me through a window. He came outside and I apologized for being nosy, but he waved me closer, shook my hand, introduced himself as John and invited me in for coffee. The interior of John’s cabin was sparse, but homey, with a large wood stove, a bed, a worktable by the window and two wooden chairs. John told me he’s lived in this place for 35 years. 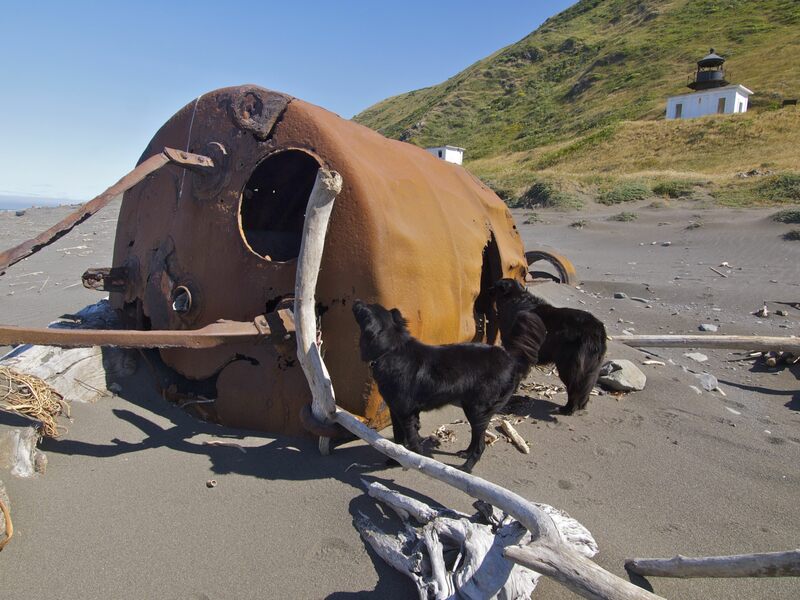 He built the cabin himself, mainly from scrap-wood collected on the beach. 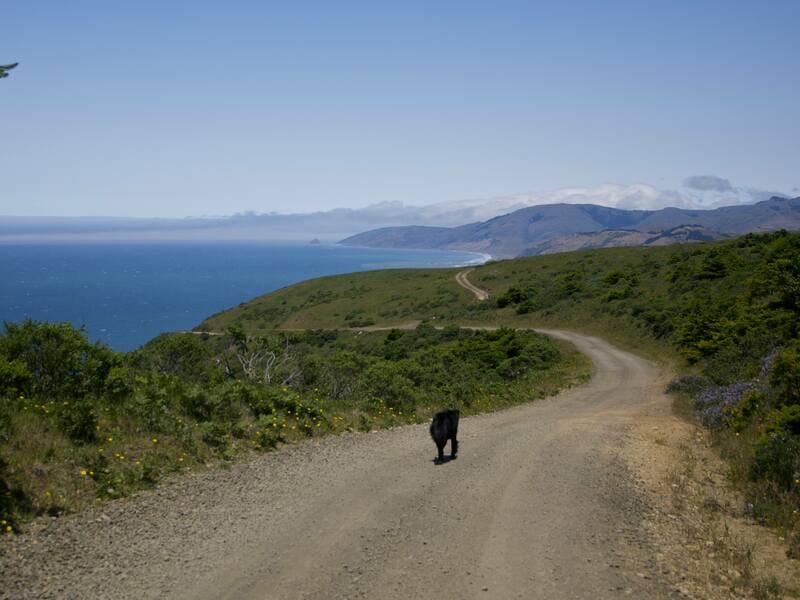 It’s off the road – his Subaru is parked on the bluffs high above, reachable by a steep trail – and off the grid. A solar panel runs a few lightbulbs and a radio but John has no phone or internet. “I don’t have much, but I’m the richest man on earth,” he told me. John is rich in time, the most priceless of all commodities, and he spends his bounty creating art. On the table by the window was a sculpture, rough- hewn but magnificent. I’d never seen a block of wood curl around itself quite so beautifully. Then John set a dried strip of seaweed in front of the block. It was twisted in exactly the same way as the wood. “This is my model,” he said proudly. The man is a master. John’s model & creation, in progress. 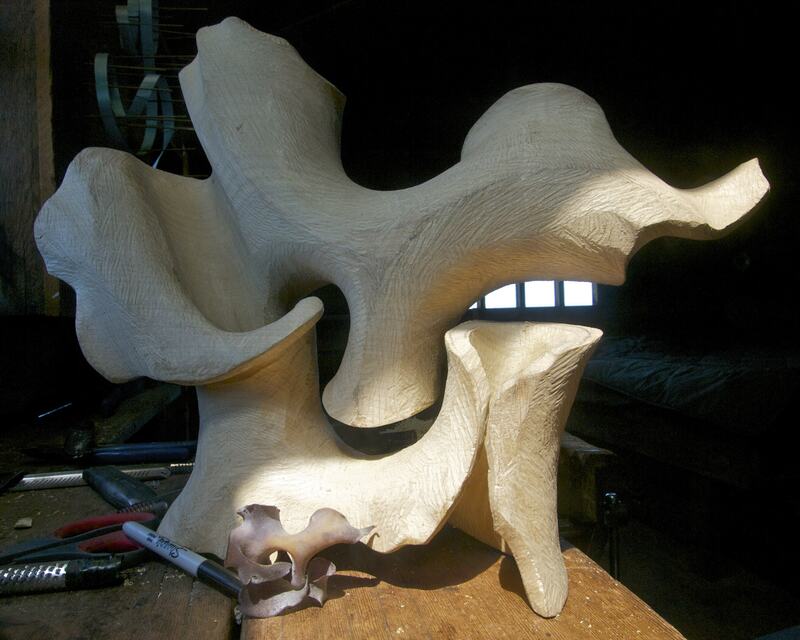 When he’s finished sanding down this sculpture to a mere fraction of an inch thick, it’ll be smooth as silk and weigh only a few ounces. His final products are nearly as delicate as the wisps of seaweed that inspire them and he breaks more than a few in the process. Not a man to hang on to mistakes, broken works go into the wood stove, lessons learned. Finished pieces sell for several thousand dollars, his main source of income. John and I spent most of the afternoon talking about Art and the Ocean, which crashes right outside his window and sometimes washes up under the cabin. When he’s not carving, he’s out exploring the coast, picking up new sea life models and several tons of trash, which he hauls up the bluff one backpack full at a time. He drives to the closest town once a week for groceries and to Eureka three times a year. He hasn’t gone further away from home in over a decade. An avid traveler once, John asked me all about my life on the road and I asked him all about what it’s like to find a place that inspires for 35 years. Someday, I hope to be as rich as John McAbery. To read more about John, check out this lovely artist profile piece in the San Francisco Chronicle. 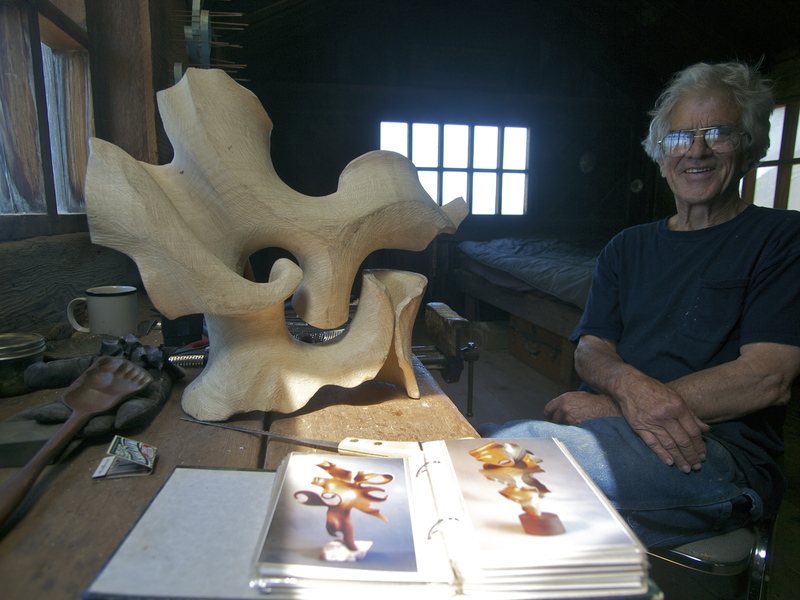 To see more of his creations, visit his website at www.johnmcaberywoodsculptures.com. 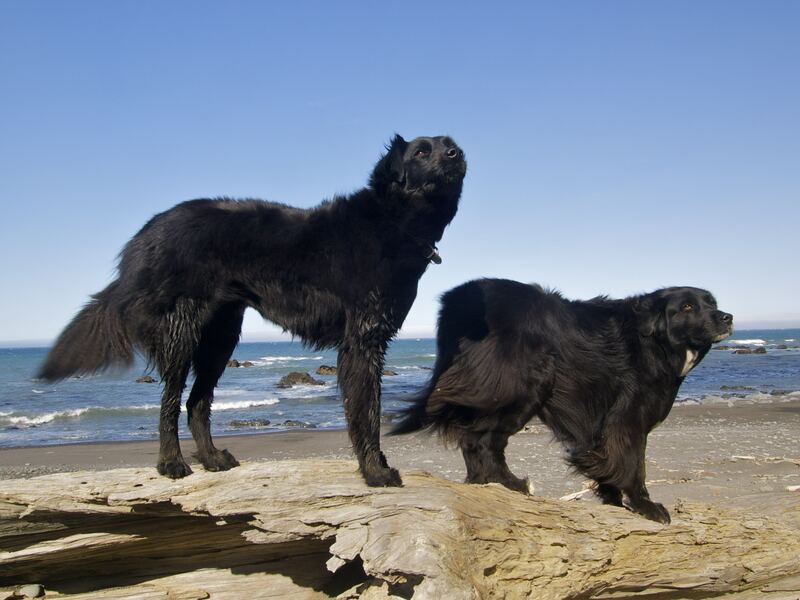 Beach Dogs, giving their feet a break from the course sand. Windy Point Road- I made a loop back to the campsite by climbing a trail up and over the bluffs. Thanks Don! Most people cite being a cute young girl as a liability when traveling. Glad you see it as an asset! I certainly do. There are a lot of wonderful people in this world, we just have to find each other! OH, I really like this one! John reminds that people are amazing! What a wonderful treasure you found out there. Thank you for sharing John’s info. 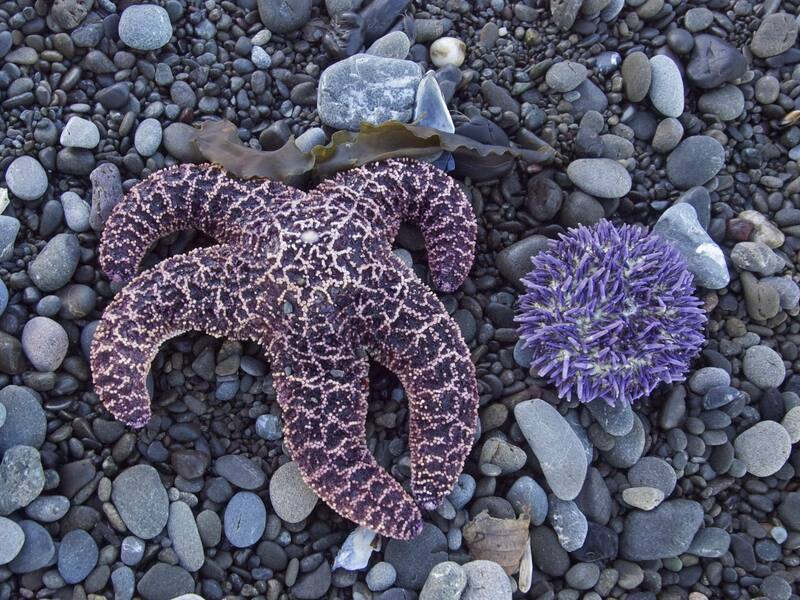 Thanks for introducing me to two treasures, the Lost Coast and John McAbery. 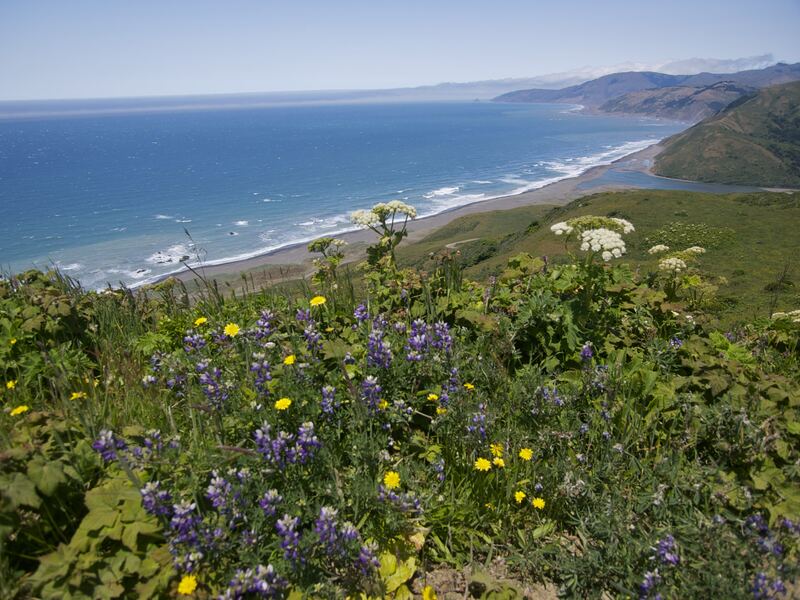 I love the Lost Coast, I did a backpacking trip there about 8 years ago. And I agree with Don, its nice to see that people can still be warm and welcoming and just plain friendly to strangers. What a awesome spot for camping. It looks like you are close, if not right on the beach almost. You are awesome!!! Beautiful post and thanks for introducing us to a wonderful craftsman. Lovely blog! I really enjoyed this one….your interactions with the artist, along with the photographs made for such an interesting read….you are an inspiration…. You are so inspiring! I’m working on myself to become more trusting. As I’ve stated before I’ve had some bad luck with the wrong people I’ve met in my life and it has made me afraid to venture out. But the wanderlust is still within me. I used to take my kids hiking when they were young at state parks but always very wary of other people. My son learned to love travel as you do. He even left his family here in Georgia to meet a LA gal and fell in love. They travel all over. I’m glad my fear did not transfer over to him. I hope to one day be able to travel myself. I am planning on it. Keep writing. You are inspiring! Great post, what an interesting story and character. I Love his artwork. Awesome! Thanks for the update, Cynthia! You are living a charmed life. I am so impressed with your ethos. To find John on that beach must have been miraculous. What absolutely mind blowing work he produces. Thank you for introducing me to him and to the lost coast. I wish you many, many more adventures. As a 45 year old married father of two, I’m living slightly vicariously through your life. I do hope to be able to shed many of my possessions and learn to travel as freely as you. Safe travels! May I inquire about your awning? I, too, have a teardrop and am curious about the design and make of the awning. Look simple enough to build myself, but I’m interested in how it attached to the actual teardrop above and below. Oooo this post GOT ME. 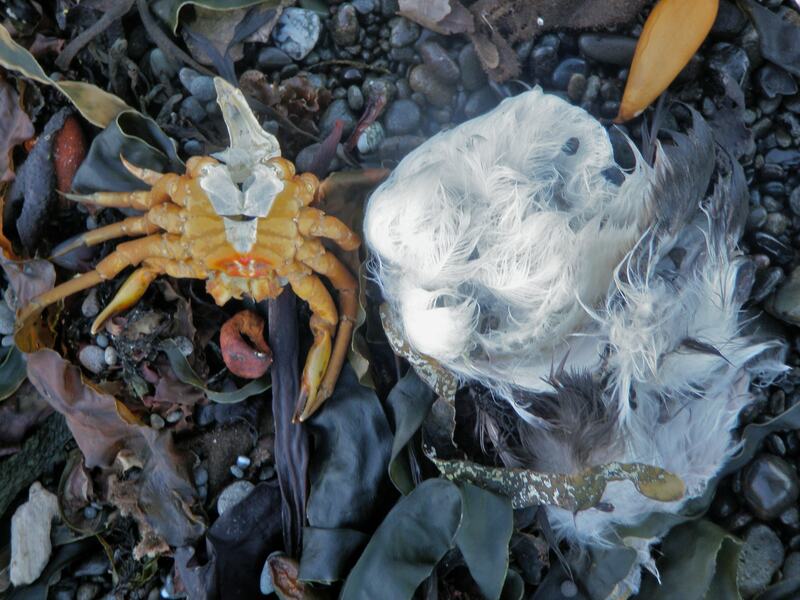 Yes I want to live near the ocean and make found item art all day with no electronics to interrupt me. That sounds AMAZING! 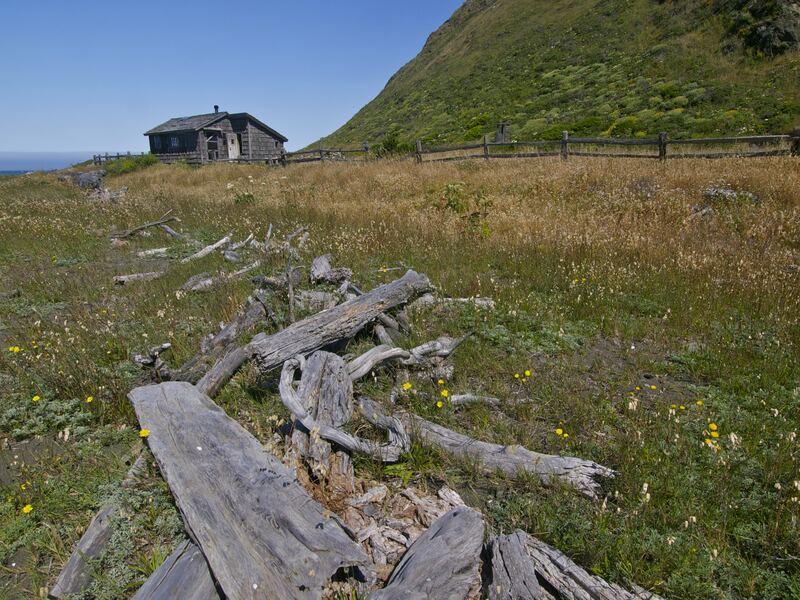 I’m grieving the burnt up cabins- it would have been nice to rent one from the California Parks & Rec department. oh well. So glad you confronted those clueless pyros- you did it the best way possible as well- by sticking around and making friends- class act.